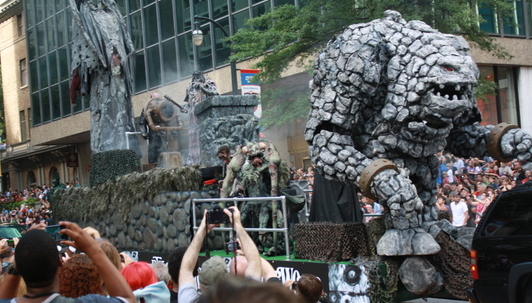 As I previously posted, we’ve just returned from Dragon*Con 2012, and it was great! 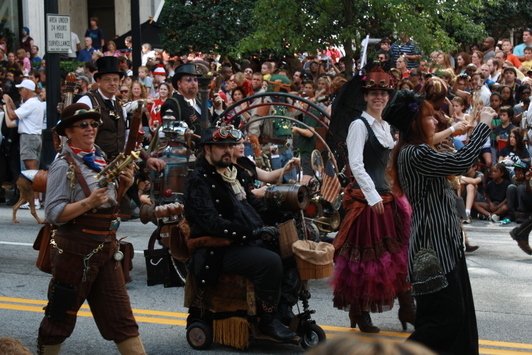 Most of my pictures turned out to be from the parade (since I skipped out on the costume contest), and while I have far more pictures than I can possibly post, I thought I would just post a few of the highlights of the Dragon*Con 2012 parade. 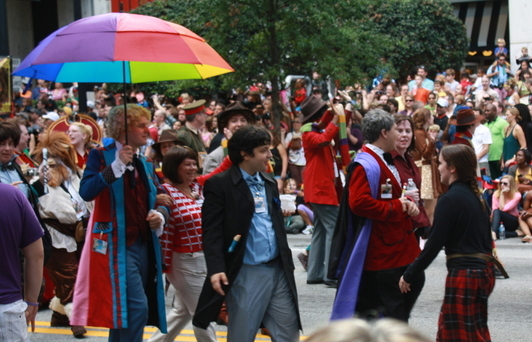 The many Doctors of Doctor Who. 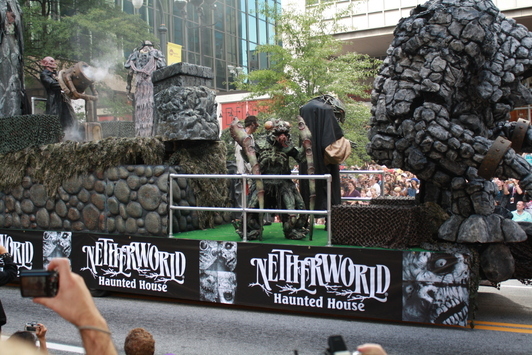 I don’t know who Netherworld is, but they have some wicked floats. 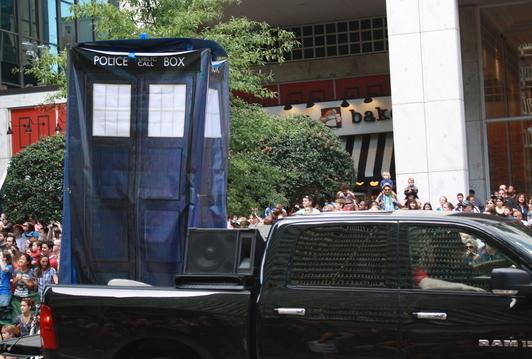 Of course, I see their booth every year, but I never bother to ask who they are… Oh well. 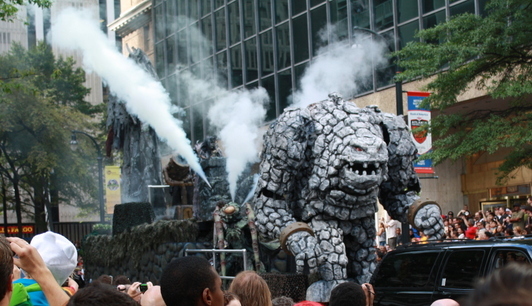 It is an awesome float. 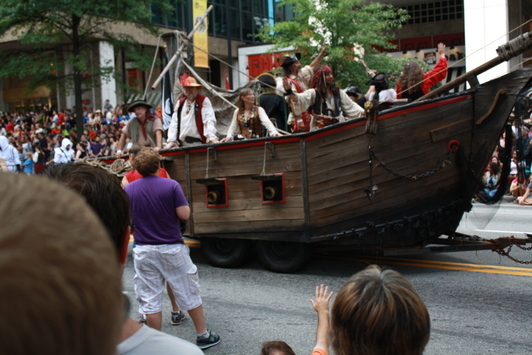 A pirate ship, with the Pirates of the Caribbean crew. 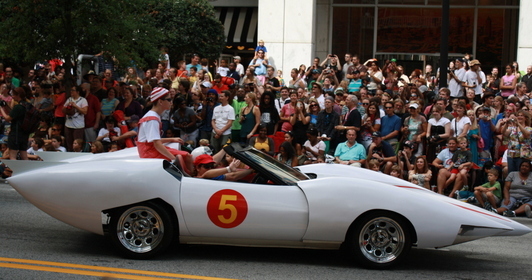 The Mach 5, from Speed Racer! 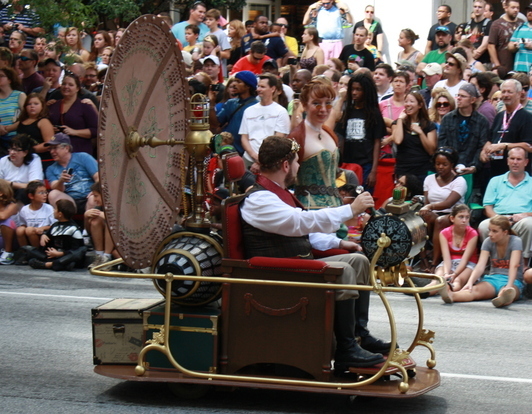 Go Speed Racer, Go! 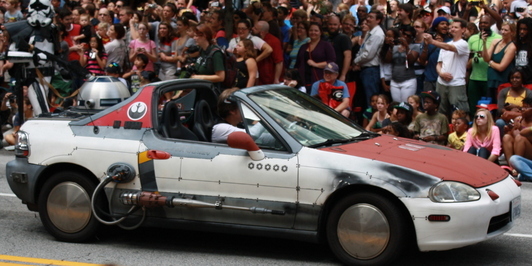 Another Star Wars fighter car. 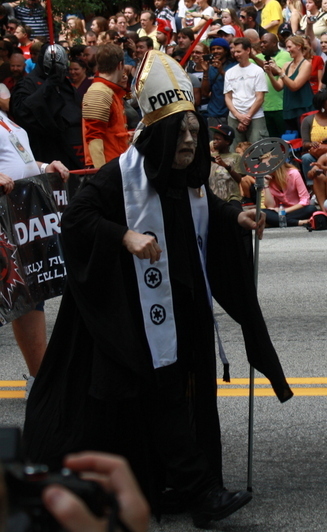 These are some dedicated fans. 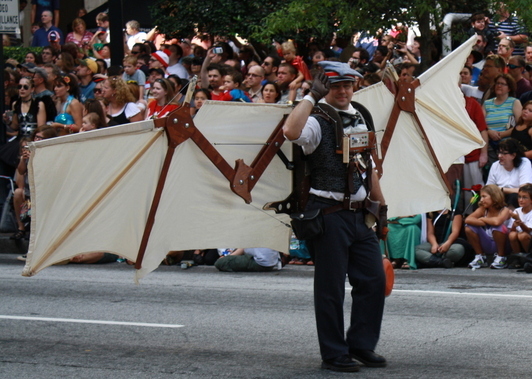 Forget Red Bull, Steampunk gives you real wings! 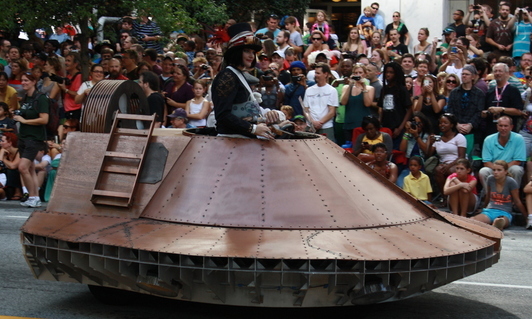 It’s a steampunk hover tank. Nice! 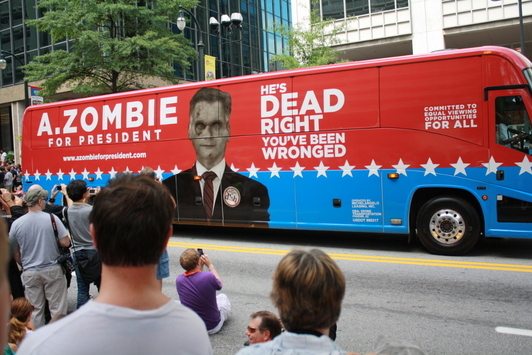 This November, be sure to vote for the right candidate.